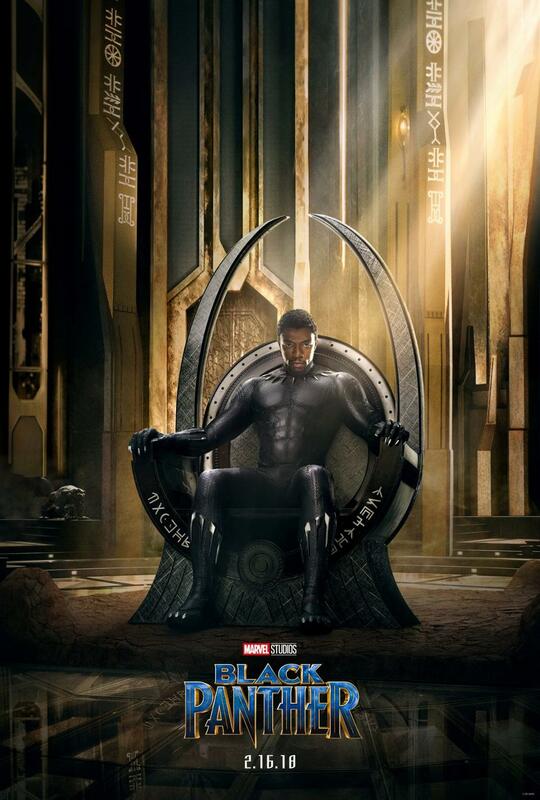 Playing a little catch up today as the first teaser for Marvel's latest, Black Panther, dropped on Friday during game four of the NBA Finals, but unfortunately I haven't been able to really sit down and watch the clip until today. That said, this is obviously a pretty big deal as not only is this our first look at what is on Marvel's slate moving into 2018, but it's also our first glimpse at what is one of the few African-American led comic book movies. In the wake of Wonder Woman last weekend this is a big deal and only shows the continuing diversification of what that former status quo believed itself to be. It's frankly wonderful to see such major shifts taking place and being executed by major studios as it relays bigger cultural and social impacts than some might even realize, but all of this good is made even better when the film itself tends to look promising. Of course, there was no reason to ever think this Black Panther movie wasn't going to be promising given Marvel's Cinematic Universe enlisted director Ryan Coogler (Fruitvale Station, Creed) to helm the project. This paired with the fact we already got our first look at Chadwick Boseman's titular character in last year's Captain America: Civil War and that too was fantastic. Take all of this and add to the ever-growing promise of the film that Coogler also rounded-up frequent collaborator Michael B. Jordan to play the film's antagonist Erik Killmonger and you have what is more or less a guaranteed quality picture if not a guaranteed box office smash due to the fact it is another in a long line of Marvel's successes. As for the trailer itself, Coogler and his team certainly seem to have found a look and tone they wanted to work in for despite some of the visual effects shots still feeling incomplete the world in which they're taking us to is fully rendered. It's interesting to see Andy Serkis' Klaw (first introduced in Age of Ultron) and Martin Freeman's Everett Ross (also introduced in Civil War) open the trailer and discuss the mysteries of Wakanda as it only gives the audience a stronger desire to see this place for themselves. Black Panther also stars Lupita Nyong'o, Danai Gurira, Daniel Kaluuya, Angela Bassett, Forest Whitaker, Florence Kasumba, John Kani, Winston Duke, Sterling K. Brown, Phylicia Rashad, and opens on February 16th, 2018. “Black Panther” stars Chadwick Boseman, Michael B. Jordan, Lupita Nyong’o, Danai Gurira, Martin Freeman, Daniel Kaluuya, Letitia Wright, Winston Duke, with Angela Bassett, with Forest Whitaker, and Andy Serkis. The film is directed by Ryan Coogler and produced by Kevin Feige with Louis D’Esposito, Victoria Alonso, Nate Moore, Jeffrey Chernov and Stan Lee serving as executive producers. Ryan Coogler & Joe Robert Cole wrote the screenplay. Marvel Studios’ “Black Panther” hits U.S. theaters on February 16, 2018.